First, let me warn the reader, nothing much happens in this story. 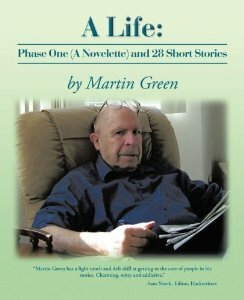 Not that it couldn’t, as I’ll try to write something about how it feels to be an old guy, a really old guy pushing 90. When you’re at that advanced age, you can expect something to happen at any time---a fall, a stroke, a heart attack. The ultimate, the end, death. This recent Christmas was a sad one for me. For years my old tennis buddy Charlie would send out the first card, arriving promptly on December 1. The year before Charley has passed away (we don’t like to say “died”) and this last December 1st there was no card from Charley. One of those things that happen when you’re old. Let me start with the first chore of the day, getting out of bed. Like many, maybe most, old people I suffer from insomnia and take some kind of sleep aid. None of the over-the-counter pills work for me and the prescription medication my doctor gave me caused me to have horrible nightmares. I happened to be watching the TV show “Outlander” a few years ago and the heroine Clair, who’s being held in a Scottish castle wants to escape so she gives the guards something called Valerian root and that puts them to sleep. I found Valerian in the drug store and it works fairly well for me, although not every time. On this night I’d had a fairly decent sleep so didn’t fell too bad getting up except for the usual morning stiffness. My wife Sally had gotten up before me. She too had insomnia and took a prescription sleep aid. When I’d finished my bathroom business and joined her in the kitchen she was pouring our orange juice. We then went through our morning pill-popping routine. How’d we ever managed to get through the day without taking our pills? We then each had cereal with fruit that was supposed to be good for you. After this I took the day’s crossword puzzle out to our enclosed patio, sun room when it was sunny but now not sunny as the Sacramento Valley was having it’s usual January weather, which is foggy or rainy; right now it was foggy. I tackled the puzzle while finishing my coffee, real coffee, not decaf, because this was also supposed to be good for you. Meanwhile, my nose was running, as it always did in the morning, something that the forces of the universe, intent on seeing that old guys couldn’t really enjoy themselves, visited upon us. I managed to finish my coffee without spilling it or having a coughing or sneezing fit, two other plagues visited upon us old guys. After this I brushed my teeth, with an electric tooth brush, because my dentist had told me I should use this, then flossed, as directed by my dental hygienist. Getting dressed used to be a simple matter that I gave no thought to but had become a task. There was the job of buttoning my shirt, whose button holes seemed to have gotten smaller, then there was the job of putting on my shoes and socks, which required some acrobatics until I finally succeeded. Dressed, I went to my computer and looked at my financial account. I’d recently changed my password because the account had advised me to, a seemingly simple procedure except that this involved putting in my old password and I kept being told it was invalid. It took a call to good old tech support and a guy with an Indian accent to get this straightened out. Next I looked at my e-mails, the usual 40 or 50 that had come in overnight. I’d recently had a problem getting to my e-mails, too, that involved passwords and this also resulted in my being told that my password was invalid. I’d concluded that no matter what password I put in it would be judged invalid, something else the universe arranged to exasperate a senior citizen. On this morning I was to play some pool with my friend Abe Silverman. Abe and I had been members of a group of half a dozen old tennis players who could no longer run on the courts so had turned to pool as their sport. One by one the others had dropped off and now Abe and I were the sole survivors. Abe was probably my closest friend in the retirement community. We were both from New York and had both been with advertising agencies, first there and then in San Francisco, although Abe had been far more successful, winding up as a vice-president while the company I’d been with had gone under and I’d wound up working for the State of California. “How’s it going?” asked Abe. He’d gotten to the pool room first. We had four tables and at one time they’d all been occupied in the morning. But the same thing had happened to members of our billiards club that had happened to our little group, so many had dropped out that we were usually the only ones playing. This was Sally’s afternoon for choir practice. She’d been in our retirement community’s chorus since we’d moved there. This last year she’d had a bout of breast cancer and her friends at the church had put her on what they called their prayer list. Luckily, after the treatment she now seemed okay. Later on she decided to join the church and then their choir. She left at two for practice so after lunch I was left alone in the house. Outside, it had started to rain. Inside, it was dark and gloomy. I went to the computer and looked at my financial account and my e-mails again. I had an e-mail from our youngest son, who lived in Ireland. He was a Berkeley grad, in computer science, and had met an Irish girl at the company they worked for in Silicon Valley. They’d decided they’d have a better quality of life in Ireland and maybe that was true. They’d settled in Galway, a college town. He worked at home and our daughter-in-law worked part-time at the university. They had a son, ten, and a daughter, eight, our two grandchildren. When we were younger we’d visit then every year, which had been kind of fun. About five years ago, we’d decided we couldn’t make that long trip any more and now our grandkids were 6,000 miles away. The e-mail said they’d be on a camping trip the next weekend but would call us the week after. We talked about once every two weeks and usually Skyped. I’ll mention here that after retiring I’d somehow become a free-lance writer, first for an alternative weekly paper in Sacramento, then for the Neighbors section of the Sacramento Bee and now I did two columns for a senior paper we got every month. The columns were “Favorite Restaurants” and “Observations.” The restaurant column came about as most of the women in our retirement community were tired of cooking and eating out was the favorite pastime of our residents. The “Observations” came from me writing a piece I called “Observations After Two Years in (our retirement community).” I’d been doing both now for over fifteen years. I had only one restaurant to write about for the next month but somehow I always came up with something. For the “Observations,” I thought I’d write about my recent experiences with invalid passwords. I’d call it (Mis)adventures in Technoland. I did a quick first draft of my Misadventures, then it was time for what my Irish daughter-in-law would call a liedown. This had become something of a routine the last few years. Around four o’clock my eyes would start to close and I’d lie down on the bed and doze off. Sally came home while I was starting to wake up with the news that half a dozen members of her church choir were out with the flu that had been going around. This was something that happened in our retirement community every year. I mentioned that most of the women in our community were tired of cooking and Sally was one of them. A lot of people thought that because I wrote the restaurants column we ate out all the time but this wasn’t true; a lot of the time we had TV dinners or soup or eggs. On this night Sally made bacon and eggs. After dinner we settled in for our usual night of TV watching. We each had our lazy-boy chairs in the living room. A couple of years ago one of our cats, BunBun, would be sitting on the footrest of Sally’s chair while our other cat Shandyman would be perched on the back of my chair, their TV-watching spots. They’d passed away within two months of each other, which was like two blows to the stomach and I don’t think we’d ever gotten over it. We’d had many conversations about possibly getting another cat but didn’t know if we could take care of even one at our age. The phone rang, which was unusual as we almost never got a call at night. Sally, who always kept her phone close by, picked it up. I assumed it was the usual nuisance call, a late one, then heard her say “Sarah,” Abe’s wife. I put the TV on pause and listened. “Yes.” “That’s awful.” “Yes.” “Where are you?” “All right.” “You’ll call tomorrow or any time if you have news.” “All right.” She put down the phone. We sat in silence for a while, then resumed our TV watching but I had no idea what we were watching. I kept waiting or the phone to ring but it didn’t. After the eleven o’clock news we went to bed. “Okay,” I said. It wouldn’t hurt. I myself wouldn’t say a prayer because I didn’t believe there was anyone up there to hear it. But I mentally told the forces of the universe, the ones that sent running noses and other afflictions to harass us old guys to relent and give Abe a break. He was younger than I am so by all rights shouldn’t go first and his grandson was going to graduate college and he couldn’t miss that. I doubled up on my sleeping aids but knew I wouldn’t get much sleep that night.